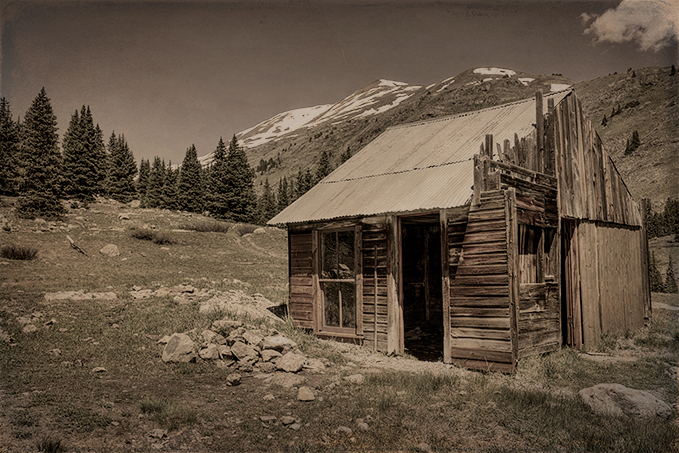 We enjoyed a perfect Colorado day exploring the old mining town of Animas Forks founded in 1875. By 1885, the summer population has reached 450. Few people braved the harsh winters at this elevation since many of the mines where shut down. The town weathered the boom and bust cycles of mining until the 1920’s when the price of metals fell worldwide and began it’s slow transformation into the ghost town we see today. 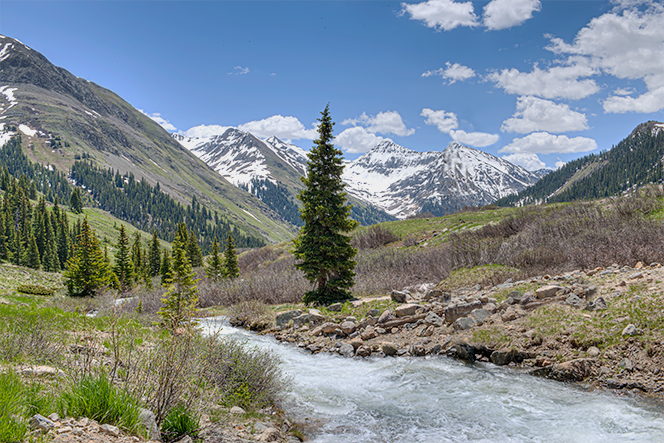 As the snow melts the land begins to green at the head waters of the Animas River…. 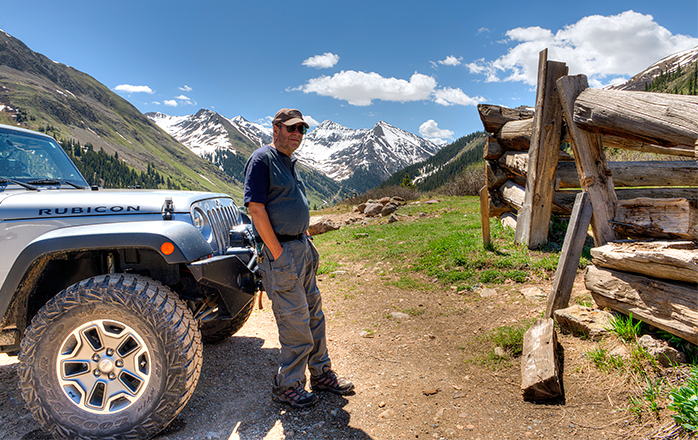 Brad enjoys the view from Animas Forks. Going over Molas Pass on the return trip to Durango offered a panoramic view from 10,550 ft elevation. At this high elevation, the aspens are just putting out leaves. 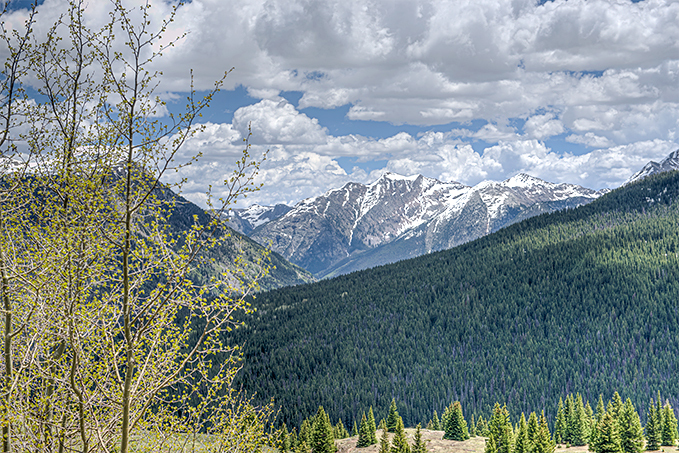 This entry was posted in Colorado and tagged "Animas Forks" "Molas Pass". Bookmark the permalink.